Why choose a breeder from a Club list? 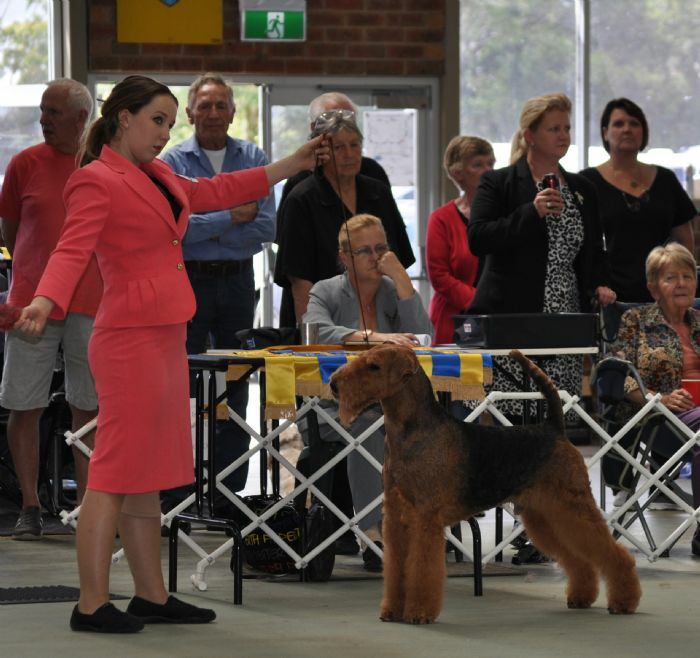 After awarding Danya Best in Show at the Airedale Specialty that was a lead up show to the 2014 World Show in Finland Anne persuaded his Breeder and Owner Julia Geller (Est Etium Airedales, Ukraine) to let Danya come on a working holiday to Australia. 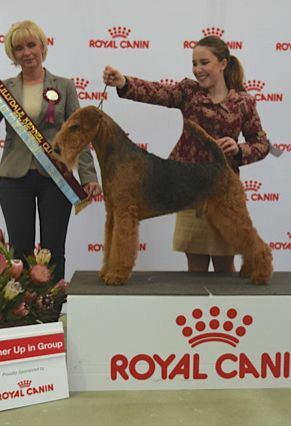 At only his second weekend of showing in Australia he won the Terrier Group under American Terrier Specialist Vandra Huber and went on to Runner Up in Show. 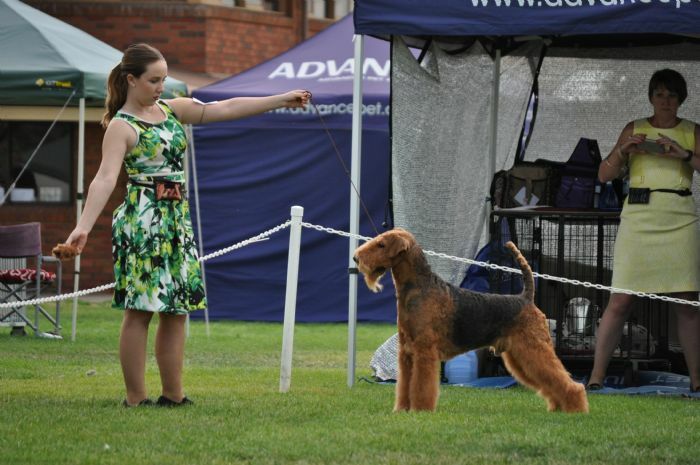 With more than 30 groups and 6 all breeds Best In Shows in one year Danya became Australia's number 1 Airedale and Victorias number 1 Terrier 2016.